There are styles I come back to over and over again. 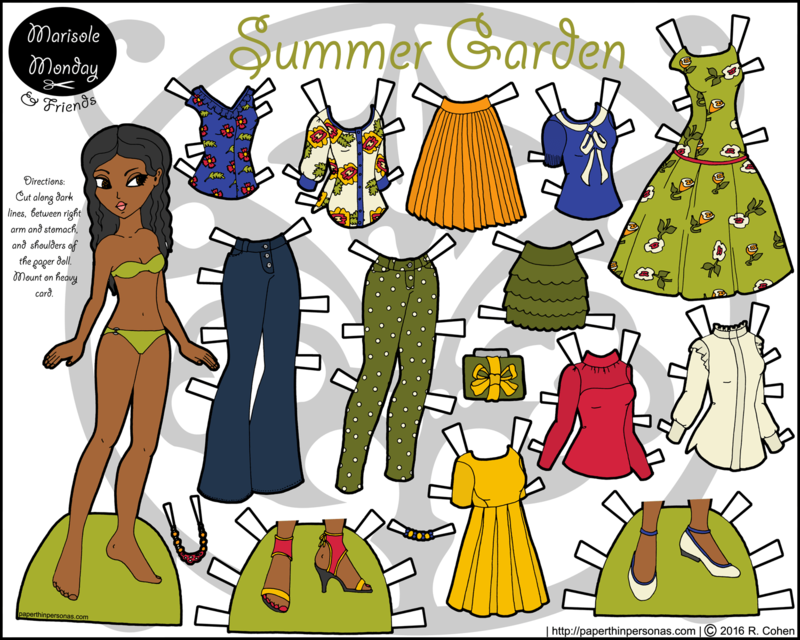 This dress is very much like the white dress in this set and this dress, both designs I did years ago. This is by far the most complex thing I have ever tried to create with the “shiny” look. It’s not perfect and there are problems, but I am not unhappy with how it turned out. Finding latex or vinyl reference images for the full bell skirt was basically impossible. 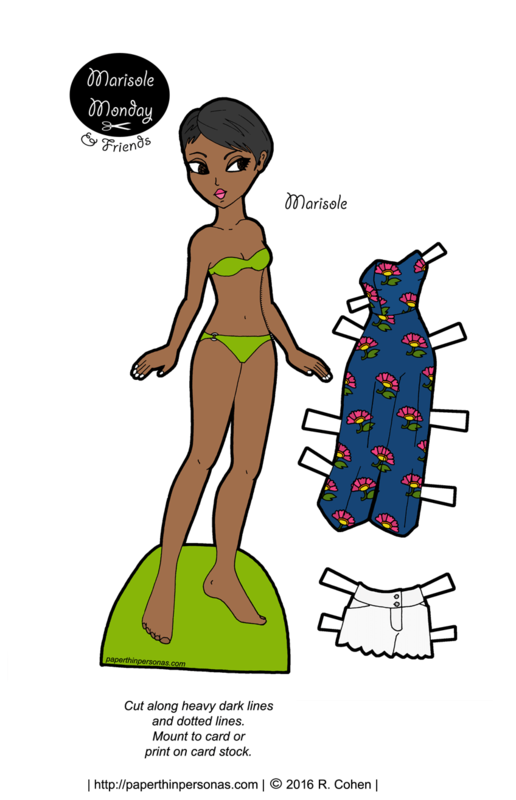 Also, google image searching the phrase “vinyl full-skirt” sometimes causes interesting results that are probably not kid friendly. As for the color, I can’t really explain, but somehow once that dress was drawn I just knew it was going to be bright orange. I wasn’t sure what to do post today, because I am taking the month of April off and I was struggling to decide what to do with this last Monday. 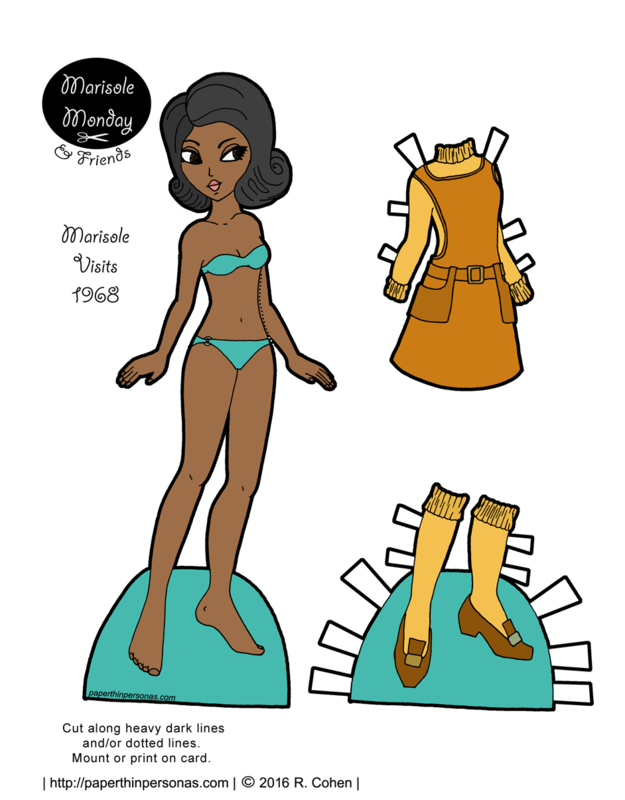 Then I discovered I had three Marisole Monday & Friend’s paper dolls that I converted to black and white last year that I hadn’t posted. 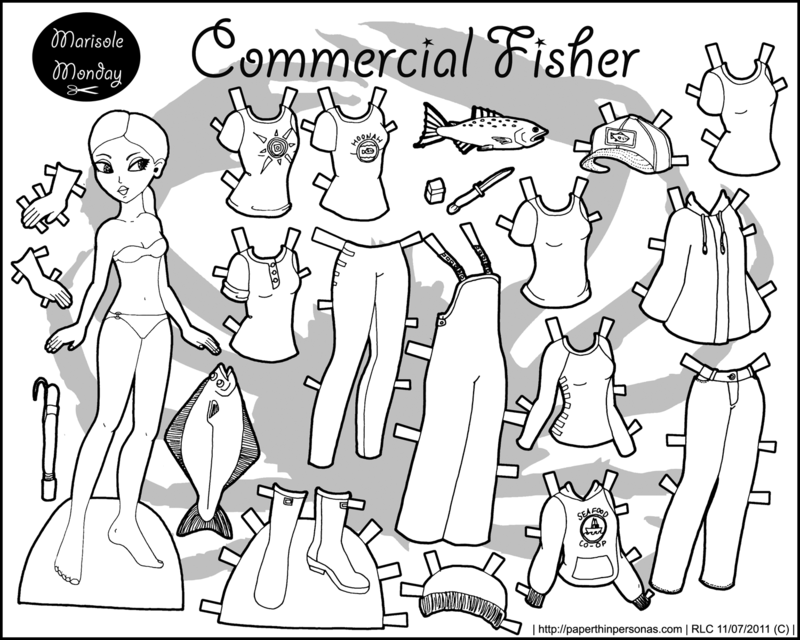 Next, we have what is my mother’s favorite of all my paper dolls- my commercial fisher paper doll. I still am not totally pleased by the salmon, but I think the halibut came out very well. While I no longer own quite so many pieces of fishing clothing, I certainly did in my younger days. 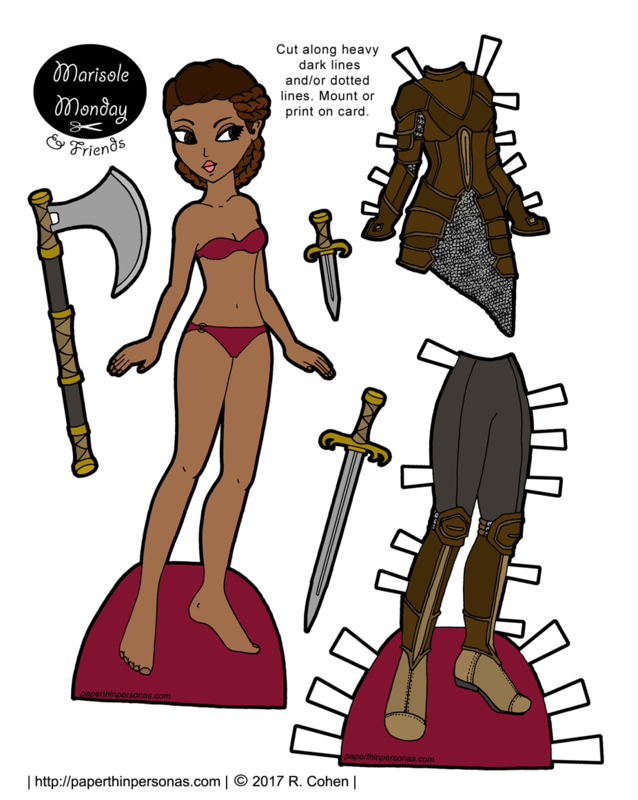 Last, but not least, one of my very early fantasy paper dolls. 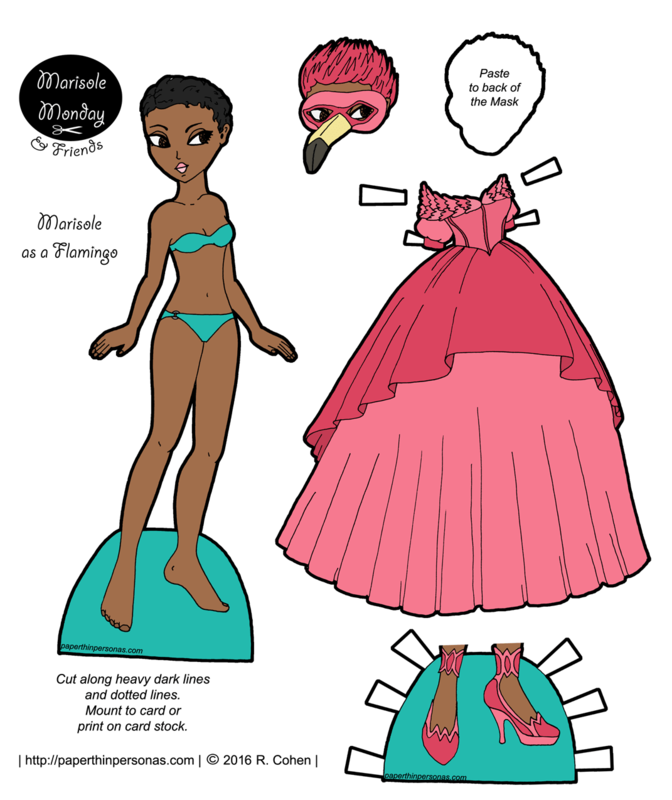 She was originally done all in shades of pink, so that was what why she was named Princess in Pink. 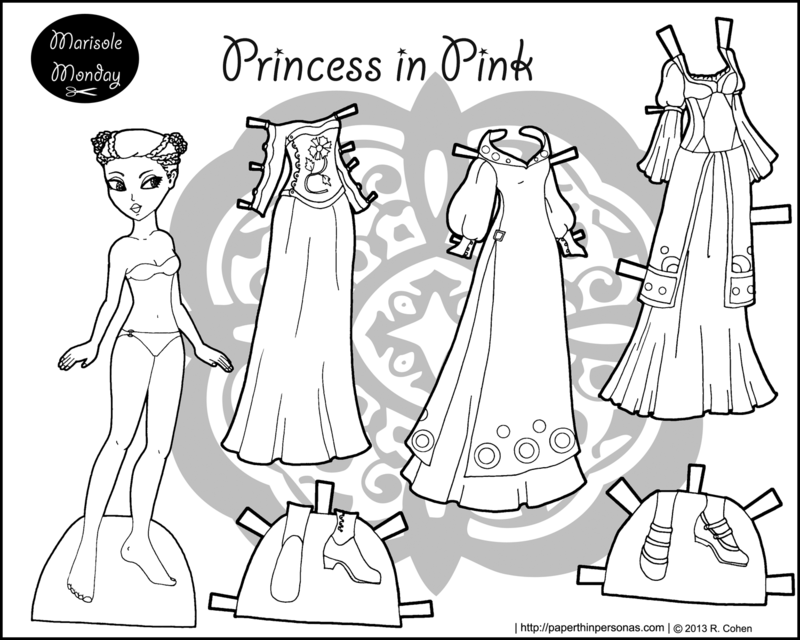 Of course, now you could color her in any way you want and therefore she could be a Princess in Blue or a Princess in Orange or a Princess in Pistachio. I hope everyone had a lovely Easter if they celebrated. Mine was delightfully quiet. There will be formal announcement of my April hiatus on Wednesday.